Wudang Tai Chi Chuan, which was originally known as Wudang Shaolin Kungfu, represents the climax of Shaolin kungfu development and the source of all styles of Tai Chi Chuan. Of all the martial arts in the world, Shaolin Kungfu and Tai Chi Chuan are considered the best. Taijiquan, like Shaolin Kungfu, is different from all other martial arts. It started as spiritual cultivation. Zhang San Feng, the founder, was already very healthy and combat efficient. He practiced Wudang Tai Chi Chuan to attain immortality. 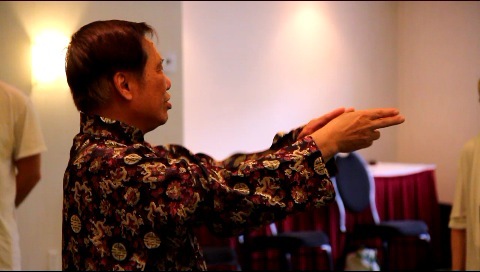 This course gives an extensive, yet in-depth, introduction to Wudang Tai Chi Chuam. It covers all the four dimensions of martial art, namely form, force, application and philosophy, and ranges from basic Tai Chi Chuan movements to expanding into the Cosmos.